Sorry, Deedy. We are NOT convinced! So Deedy (that's Dorothea Jensen to you) REALLY wants to come on vacation with us Izzy Elves and S.C.
She keeps sending pix like this one showing how where she lives might as well be the North Pole. We like Deedy, we do, but really, her snow is NOTHING compared to what we Izzies see everyday. 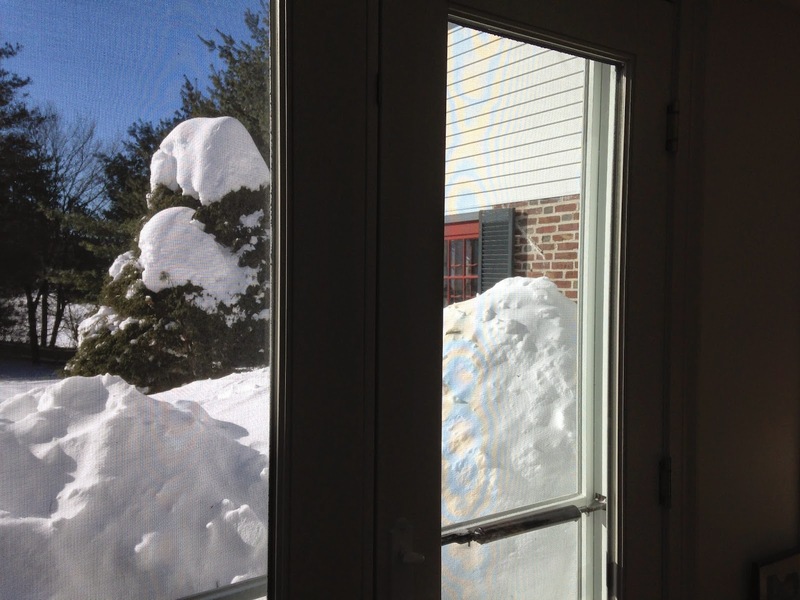 We can only say that Deedy should get back to us when the snow covers the doors and windows completely. She says this will be happening soon. I guess even honorary Izzy Elves have a harder time living with snow than we REAL Izzies!